SM12: Whenever a user login into a system or a program is run it is interpreted by SAP system as lock entry. As a daily activity we check whether there is any lock entry which is present in the system for more than 24hours.If you encounter any such situation then we should check that lock entry is orphan or not. Orphan lock entry means no process is tagged with corresponding work process and that lock entry is just blocking the respective dialog or background work process. 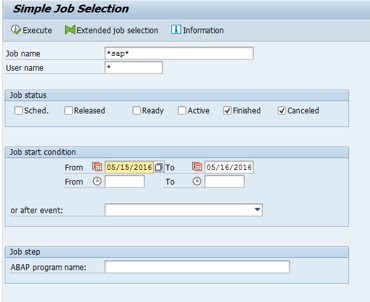 We should inform the user/owner of background job about the same and get approvals for the lock entry deletion. ST22: This t-code is basically used for checking the dumps thrown by ABAP programs. If your system is throwing more than usual dumps then you should check and read the dumps. If dumps are about failure of any ABAP program then we should investigate from our end and engage ABAP programmers also to check on any changes done on that respective program. SM37: This tcode is used for monitoring background jobs. We have to check and resolve if housekeeping jobs are getting cancelled. Housekeeping jobs are set when the system is built to accomplish the daily housekeeping tasks such as background jobs logs and spool logs clean up etc. These jobs are very important in terms of managing the file system space. If these jobs are getting cancelled then it may fill up the file system space. SM66: There are many long running jobs in the system some are in there usual run but some jobs get stuck because of some issue in the system. Basically this tcode let us know the runtime of background job and we can set a threshold say for example if a job is running more than 1 lakh seconds then we should take action. Firstly we should check the job name tagged with the process id using tcode RZ03 and then required action in such situation can be checking that this run of job is usual run or it is taking unusually more time. Then using the process id of job from OS level we should check that the job is idle or not. If it is idle for a long time then we should take required approvals and cancel the job. RTCCTOOL: This program basically let us know SAP recommendations according to the stats of system performance. These recommendations should be taken care on weekly basis such that system performance can be enhanced. Run this program through SE38. SMQ1: This tcode monitors the outbound queue and we have to check stuck entries in outbound queue of qrfc and if there are some stuck entries then we should process it. SMQ2: This tcode monitors the inbound queue and we should check if there are any stuck entries then check for the source system and ask respective team to clear the queue. SM13: Update work process is very important to make any changes to the database since the dialog work process after doing its work calls update work process to commit the work in database. 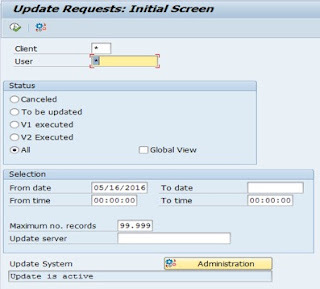 It is very important that update should be active, if it is not then sap would not be able make connection with database. SMMS: It gives the details of message server and let us know its status. If message server is not active then we should take necessary action by checking the logs. SMICM: It checks for the ICM service which is needed for Netweaver systems to connect to java system. If ICM status is not running then we should check the respective jco RFC’s and the java services .If both are up and running then we should check the system logs through SM21 and take action in accordance to the error reported. Hope this article gives you basic understanding of Daily Monitoring tasks. Given below is the link for one of the best books of SAP Basis. 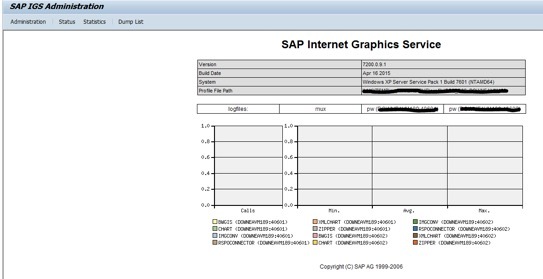 SAP SYSTEM MONITORING TCODES In this article,I am going to cover SAP SYSTEM MONITORING Tcodes , For any Basis Admin, daily sap system monitoring check is essential task.